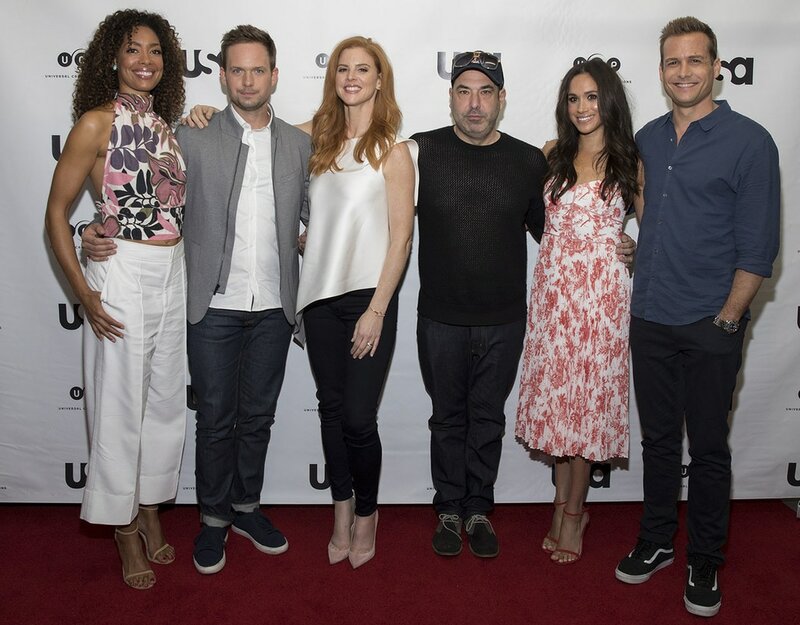 Today’s post takes you back to June 2017, when Meghan visited Austin for the ATX Television Festival! She stepped out in this look for a press event celebrating her show Suits hitting its 100th episode. For this summer event, Meghan wore a pretty red and white floral printed sundress by Club Monaco (the style was called the “Sinthea”) and a matching pair of red Stuart Weitzman Nudist sandals. This outfit was simple, ladylike and elegant! While her exact dress is really old, I found a bunch of similar red and white floral-print dresses for you to recreate her look! Shop them all + her exact shoes and bracelet below.